So, Vountaryism, aka Free Market Anarchism. Oooh, bad word: Anarchism! Ever wonder why that is that Anarchy has an actual specific definition (Absence of control/leadership) that makes no value judgement, but has been perverted to mean ‘chaos and/or disorder’ which generally is equated with mass violence. Most people, naturally, probably don’t know about the former definition but rely entirely upon the latter. Such are the ways of propaganda. 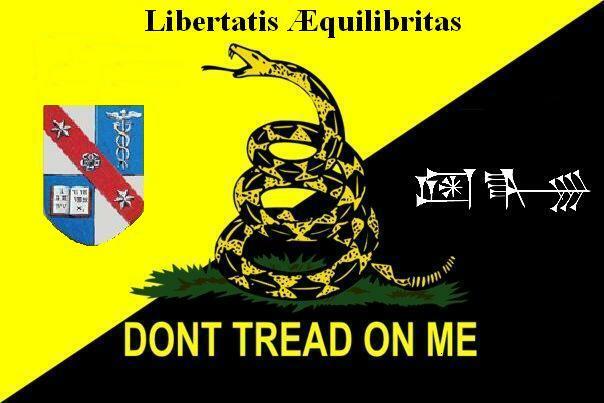 As the title of this post goes, Voluntaryism is my creed. I believe that all human interactions should be voluntary (minus coercion and fraud). I believe in The Non-Aggression Axiom: it is immoral to initiate force against another human being (or his property). Hand in hand with that is the Retaliatory Force Doctrine: It is moral and lawful to retaliate against physical aggression, up to and including killing another human being. What this all means is that I believe a society that values liberty to pursue one’s interests, as long as you do not harm others (including such things as polluting their land), is the most ideal type possible. It was probably summed up best by Senator Barry Goldwater in 1964: Extremism in defense of Liberty is no vice; Moderation in pursuit of Justice is no virtue.